The North Carolina Museum of Natural Sciences strives to provide a fun and friendly educational environment for everyone. Our goal is to make BugFest as accessible as possible, so that the greatest number of event guests can take advantage of everything the festival has to offer. The festival will include both indoor and outdoor activities. Indoor activities will be located in the Nature Exploration Center (NEC) and Nature Research Center (NRC). Outdoor activities will be located along Jones Street, Edenton Street, and in the Bicentennial Plaza. The accessible drop-off area will be located on the corner of Wilmington and Jones Streets. We will have a small section of Wilmington Street blocked off for cars to pull up to the drop-off area. There will be a tent dedicated to General Event Information and Accessibility at the festival, located nearby the drop-off area. Courtesy manual wheelchair rentals will be available upon request at this tent. There is a limited supply of chairs, and a photo ID is required for reservation. Noise cancelling headphones and earplugs are available for free at the Event Information and Accessibility tent with a photo ID. Supplies are limited and available on a first-come, first-served basis. This year, we will have trained volunteers to assist visitors (2 hours maximum). Visitors will need to pre-register for sighted guides by Friday, September 6. Please register for a sighted guide by calling David Wood at 919.707.9819 or emailing him at david.wood@naturalsciences.org. Please provide your first and last name and the time period for which you will need a sighted guide. You may request an ASL interpreter for certain exhibits and presentations by calling David Wood at 919.707.9819 or emailing him at david.wood@naturalsciences.org no later than Wednesday, September 4. There are accessible restrooms located throughout the Nature Exploration Center (NEC) and the Nature Research Center (NRC), as well as one accessible portable toilet located on Edenton Street. The Museum of History also has accessible restrooms. Note that the Museum of History, NRC floors 1-4 and NEC floors 2–4 close at 5pm. Family Restrooms are available for use on the 1st floor of the NRC, and the 3rd floor of the NEC. Please ask the front desk for a key to unlock these rooms prior to use. There is a nursing room located on the 1st floor of the NEC, behind the Coastal Hall. Please ask the front desk for a key to unlock this room prior to use. There is also a Mamava nursing pod behind the Accessibility Tent on Jones Street. There will be a quiet room available on the 2nd floor of the NEC, located near the restrooms. This room is intended to provide a quiet and calm environment where festival attendees can spend time away from the busyness and noise of the main festival. 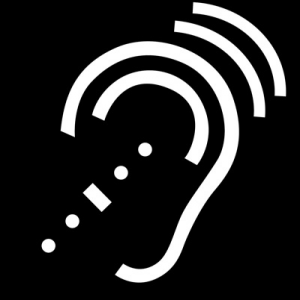 Assisted Listening Devices (ALD) for certain events and presentations are available upon request on a first-come first-served basis. To reserve a device, please register by calling David Wood at 919.707.9819 or emailing him at david.wood@naturalsciences.org. Please provide your first and last name and the time period for which you will need an ALD. Numbers are limited so reserve ALD’s as early as possible. Help us Improve Event Accessibility and Inclusion! We want you to help us ensure that you have the best experience possible at our event. If you have any additional questions, suggestions, or concerns, please contact the Museum’s Coordinator of Accessibility and Inclusion, David Wood, at david.wood@naturalsciences.org.